After changing continents during back to back races, we’re finally back home and I reflect back on a positive two weeks having claimed a win and a second place. 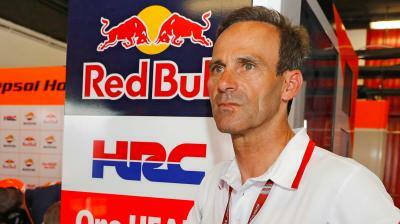 In Brno – which is a circuit we’re not really fans of – we managed to stay in the leading group among the fastest riders. It may have taken us a bit longer to pick up our pace on Friday, but we were able to improve right away. 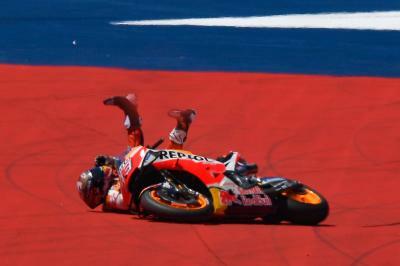 Jorge was really fast there. He had an amazing pace that he demonstrated on Saturday with a spectacular lap that earned him pole position and we knew that it was going to be hard to keep up with him on Sunday. Regardless, I’m happy with second place. The points that come with it are important, and after winning in Indianapolis, we’re feeling good. I’m convinced that if we keep working like this, we will be able to battle it out again for the victory in Great Britain. Also, I’m happy because my brother Alex came in fourth place after a good qualifying session on Saturday. I think that he had a great weekend overall. That shows that he’s on the right path, and that we’ll be seeing him more often in the leading group and with much more confidence. Yesterday we remained at the circuit for a 2016 tyre test but the weather didn’t let up, so we couldn’t make the most out of the day. Too bad! My question is about your brother, is there any special meaning behind the number 73 which he’s wearing this year in his new category? Is there a story behind it? Question from Laura. Hi Laura, Yes, it does mean something. Alex couldn’t choose the number 12 or 23 since they’re already taken in Moto2™. So he had to go for a third option, so he chose 73 because it’s a number that he likes a lot. Also, if you subtract the day he was born (April 23rd) from the year he was born (96), that’s the number you get! 96-23 = 73! 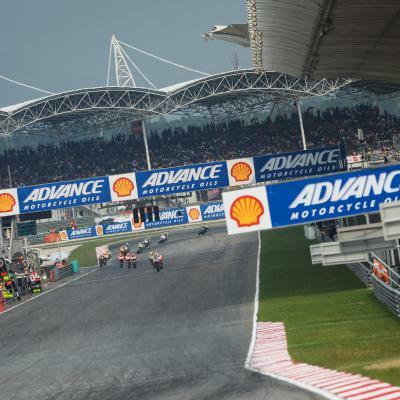 Dorna Sports SL agree a new deal that will see Shell continue its title sponsorship of the Malaysian Motorcycle Grand Prix until 2016. Having to take evasive action to avoid another rider, Jack Miller’s bwin Grand Prix České republiky got off to a less than ideal start. The bwin Grand Prix České republiky saw Alvaro Bautista battle with his teammate for more solid points. Bridgestone Motorsport’s Chief Engineer Masao Azuma reflects on the challenging conditions at the Czech GP for tyres. 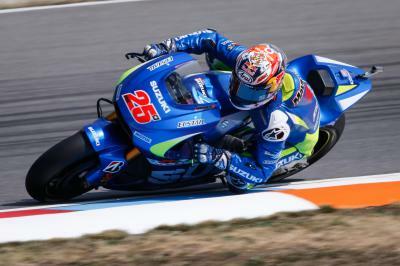 Viñales: “I tried to push very hard and finally crashed"
For the first time in 2015 Maverick Viñales failed to finish a MotoGP™ a race, crashing in the bwin Grand Prix České republiky. 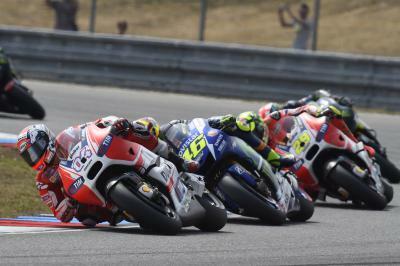 The bwin Grand Prix České republiky saw Andrea Dovizioso lose out on seventh after a race long battle. 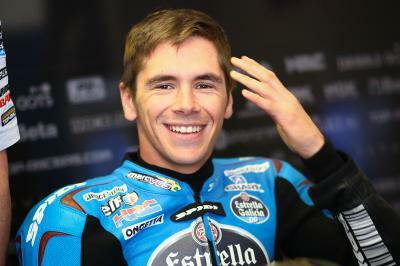 Team Estrella Galicia 0,0 Marc VDS MotoGP rider, Scott Redding, answers questions sent in by fans on social media. Hayden: “I made my best start and best first lap"
Another tough race saw Nicky Hayden salvage some positives after the bwin Grand Prix České republiky.